Polyurethanes are commonly prepared from polyols, diisocyanates and chain extenders. The polyols are polyesters, polyethers or polycarbonates, while the chain extenders are low molecular weight diols or diamines. In general only a limited number of diisocyanates are used, such as toluene diisocyanate, methylene diphenyl diisocyanate (MDI), hydrogenated MDI and hexamethylene diisocyanate. The first chapter of this book examines functional polyurethanes based on blocked isocyanates. 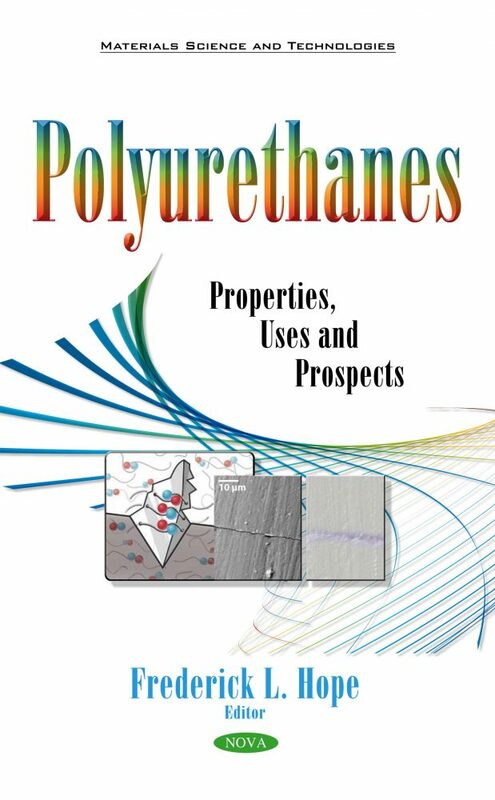 Chapter two reviews the research and the most relevant advances in the investigation of thermoplastic polyurethane elastomers, TPU, and provides a comprehensive source of information on their synthesis, structure, properties and applications. Chapter three presents a short review of some ideas employed to make polyurethanes more compatible with human body, and other biotic, or even abiotic forms of nature. Chapter four reviews the state of the art in research on shape memory polyurethane structure and its thermo-mechanical as well as mechanical properties. Chapter five reviews the use of polyurethane-coated implants for breast augmentation.